How An Economist Helped Patients Find The Right Kidney Donors : Shots - Health News If you've got a life-threatening medical condition, your first call might not be to an economist. But Alvin Roth used a theory about matching markets to help connect kidney patients and donors. 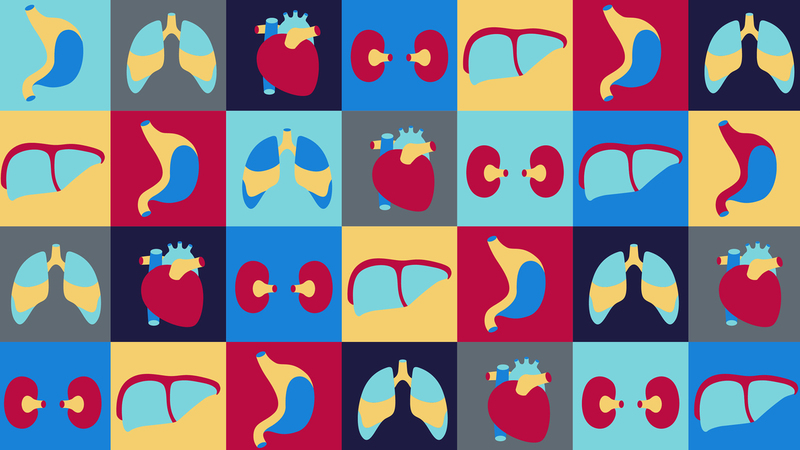 An economist has ideas for making the market for organ donations more efficient. If you're one of the more than 100,000 people in the United States waiting for a kidney transplant, you might not realize that an economist is trying to get that kidney to you faster. And he wants to make sure it's the best possible kidney for you, so you'll have many healthy years ahead. The economist in question, Alvin Roth, won a Nobel Prize in 2012 for his work in matching markets. Those are markets where price isn't a key factor. You can't buy a good job or a spot in college. And you can't buy a kidney, because that's illegal. 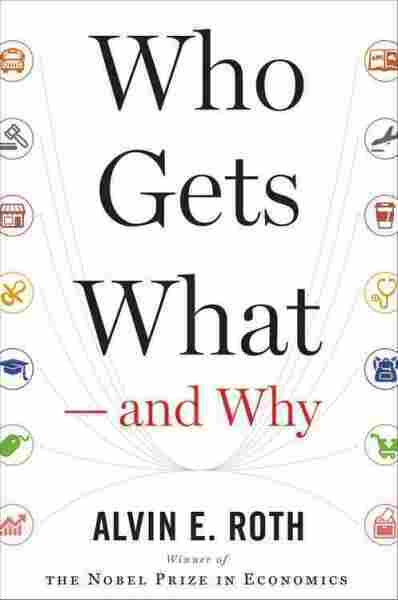 In his new book, Who Gets What — and Why?, Roth explains how he has applied his understanding of matching markets to make practical improvements in New York City's high school lottery, assignment of medical residencies and finding kidney donors. This conversation has been edited for length and clarity. Why kidney transplants? It's not a typical topic for an economist. When I would teach students about game theory in markets, I started using kidneys as an example. You can't use money because it's illegal to pay someone for a kidney. I moved to Harvard in 1998, and in 2000 the first kidney exchange in the United States was done at a hospital nearby. I started to think, gee, there might be a way where I could help organize it, make it easier for people to find kidneys. You really seem to like finding practical applications for your theories. For instance, you helped come up with a better lottery system for New York City high schools. Why is that? Practically, I was trained as an engineer. My degrees are all in operations research, not in economics. I gravitated to economics because I'm interested in how people coordinate and collaborate with each other. Economics studies all the ways people get along with each other. There aren't many kidney donors, which makes it hard for people to get a good match, or any match at all. And transplant centers tend to run their own databases. How did you overcome that? There are a couple of challenges as you make a marketplace. You have to make a marketplace thick. So the first thing we had to do was build a database of people who were willing to participate in a kidney exchange. We had to get re-consent forms from everyone in New England; there were 14 transplant centers working with us. Assembling the database and getting the permissions took about a year. Then the hospitals had to get organized so they could do surgeries on the same day. That took about a year to complete. Once marketplaces get thick, they suffer from congestion. It has to do with all the things you have to do to complete the transaction. When you're shopping on Amazon, it involves searching. There's all this stuff, and you have to find what you want. When you're doing kidney transplants, you have to find out who can exchange kidneys with whom, doing blood tests to make sure it's true. You can't just work on the preliminary data. Then you have to organize the logistics. Initially we were doing simple exchanges, with two pairs of people or three pairs. An exchange with two pairs, where the patients got a kidney from the other patient's incompatible donor, needed four operating rooms because the surgery was done simultaneously. That way if a donor changed her or his mind at the last moment, someone wouldn't be left without a kidney. And a three-way exchange required six. That's about as much as we could manage in New England. How did you break that logjam? We figured out that if you had a nondirected donor, someone who wasn't paired with a patient but who was willing to donate a kidney to anyone, you didn't have to do simultaneous exchanges. If the chain of transplants was broken along the way, no one would be tragically harmed. So nowadays we do quite long chains of exchanges. Market design is a very outward-facing form of economics. I'm talking with doctors. I'm talking with school administrators. I'm doing a lot these days on school choice. I'm constantly talking with people who aren't economists. A big deal in market design is finding the inside champions who the economists can help. I kind of think of economists as being helpers here. We have some ideas, but we don't do any of the surgeries. There's a terrible shortage of organs around the world. Right now in the United States, there are 100,000 people waiting for a kidney. I've become interested in the fact that it's against the law to pay for a kidney anywhere in the world. But it's not against the law to remove financial disincentives. You might have to fly to California and be in a hotel room and miss a few days of work. Right now we don't make it easy to recoup those expenses, but the current law doesn't forbid it. I would like to see steps taken making it easy for hospitals to reimburse donors' costs and then get reimbursed by Medicare or private insurance. This would pay for itself, because every transplant saves a quarter of a million dollar in the first five years. It costs $90,000 a year to do dialysis, $100,000 for the transplant and $20,000 a year for anti-rejection drugs. Plus you go back to work, you start feeling good again, you're not tied to a dialysis machine. Medicine is a big part of the economy. Kidney disease is a big part of the medical economy. If we could do some of these better, it would be good. At some point in the future we won't have to do transplants anymore, but all of the people who need kidneys now will be dead by then. So we need better ways to organize our resources.